Gain a wide range of skills and intellectual experience in core science subjects, giving you the flexibility to shape your degree to your career aspirations. This is the course for you if you love studying natural sciences (chemistry, biology, physics) at school or college and want to maintain your breadth of study. Design your own degree to suit your interests and strengths. You’ll be able to take your existing scientific skills further, explore new areas and apply what you’ve learnt in practical and relevant ways. Employers will value your ability to bring problem-solving skills from a variety of different angles. You’ll graduate with the breadth of knowledge and practical skills to prepare you for a career in industry or for postgraduate research. If you decide during the first year your interests fit better within a single science, you may transfer to year two of Biology, Biochemistry, Chemistry, Pharmacology or Physics following successful completion of a year one double stream in that subject. Major subjects are chosen from Biology, Biochemistry, Chemistry, Environmental Science, Pharmacology and Physics. Minor subjects are chosen from the same list. Options are more science, Mathematics, Psychology, Management or Education units. Regardless of the major or minor you choose, you will take a final year project as a compulsory unit in your final year. Studying a maths stream is required to support the study of physics but optional if you want to use your maths to support the study of the life sciences. You can design your perfect course before you enrol using our online course selection tool. Here you'll find the full range of subject combinations and units available. If you want a more in-depth study experience, you could consider applying for our MSci Natural Sciences course. You’ll learn from academics with expertise in biology, biochemistry, chemistry, environmental science, pharmacology and physics. Their international collaborations and research activities feed into undergraduate teaching and contribute to your learning experience. You’ll learn alongside single-honours students in the subjects you choose, with access to the wide range of laboratories and specialised facilities provided by the individual departments you’re studying in. You’ll also be supported during your studies by regular small group tutorials and one-to-one meetings with a Personal Tutor. A wide range of career opportunities are open to you as a Natural Sciences graduate including in scientific and manufacturing industries, research and development. You’ll also be well suited to roles in management, marketing, sales, purchasing, patenting and environmental management. Recent employers include Deloitte, BP and the World Health Organisation. Many of our graduates also choose to go on to postgraduate study in preparation for academic or industry-based research careers. Find out more about what our graduates go on to do. Your application, especially your personal statement, should demonstrate your enthusiasm for studying sciences. This might include relevant reading, voluntary or work experience, areas of interest from your current studies or other relevant extra-curricular and co-curricular activities. The options available to you on the course depend on the science and mathematics subjects you have studied before you enter. We have a strong preference for applicants with A level Mathematics (or equivalent) and you will also ideally have a strong performance in at least two of Biology, Chemistry and Physics. We will consider the combination of Mathematics and Chemistry without a second science; if you have only studied Mathematics and either Biology or Physics you may wish to consider our Biology or Mathematics & Physics degrees. If you are not studying Mathematics and two sciences please contact admissions@bath.ac.uk prior to applying to discuss whether your subject combination is suitable. A*AA in three A levels including Mathematics and two subjects from Biology, Chemistry or Physics. 36 points overall and 7, 6, 6 in three Higher Level subjects including Mathematics and two from Biology, Chemistry or Physics. We have a strong preference for applicants who offer two core sciences from Biology, Chemistry and Physics alongside Mathematics at Higher Level. We may be able to consider you if you are studying Mathematics or one core science at Standard Level (at grade 7) alongside two Highers in the other relevant subjects. If you are not studying two core sciences and Mathematics at Higher Level please contact admissions@bath.ac.uk before applying to discuss whether your subject combination is suitable. D*D*D* in a BTEC Level 3 Extended Diploma (QCF)/ BTEC Level 3 National Extended Diploma (RQF) plus grade A in A level Mathematics. We are able to consider the above qualifications in Applied Science alongside an A level in Mathematics. Your BTEC qualification must have an appropriate combination of Chemistry, Biology and Physics content to prepare you for the course. Please contact us to discuss your units before making an application. D2, D3, D3 in three principal subjects including Mathematics and two subjects from Biology, Chemistry or Physics. If you receive an offer for this course and are studying one of these qualifications you will be given both the typical and alternative offer. Your options on the course will be limited if you do not have Mathematics alongside two core sciences. AAA in three Advanced Highers including Mathematics and two subjects from Biology, Chemistry or Physics plus AAAAB in five Scottish Highers. 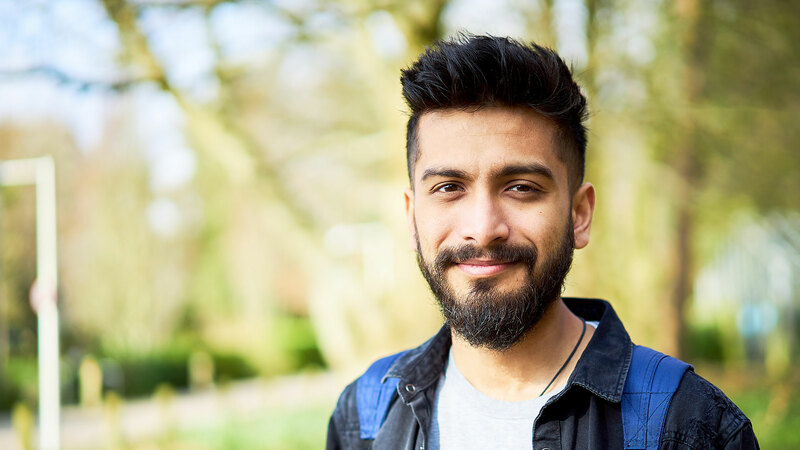 A pass in the Access to HE Diploma (in Science or Science and Engineering) with at least 36 credits achieved at Distinction and 3 credits achieved at Merit or Distinction. We are able to consider the Access to HE Diploma for entry. You will need to have studied Mathematics units worth at least 12 credits at Distinction plus at least two further core sciences (Biology, Chemistry or Physics) worth at least 12 credits at Distinction each. If you wish to take Chemistry options on our course you must be studying both Organic and Inorganic Chemistry units. Pass units worth 120 credits including a minimum of Pass Grade 2 with 80% in both S112 Science: concepts and practice and a Level 2 Mathematics unit worth 30 credits. Typically, we would be looking for you to have studied units worth at least 120 credits, including at least 30 credits at Level 2. We would ideally be looking for you to be taking units including: S112 Science: concepts and practice, MST124: Essential Mathematics 1 and MST224: Mathematical Methods. This information is a guide and all students applying with Open University Credits will be considered on a case-by-case basis. We will consider your application carefully and take note of any previous qualifications or relevant work experience. We may be able to consider alternative units to those listed. Please contact us to discuss your profile. 5.7 overall with 6.0 in the Mathematics state matriculation exam and 6.0 in any two of Biology, Advanced Chemistry and Physics. an average of 90% in the Diploma with 90%, 88%, 88% in three Year 12 subjects including Calculus & Vectors and two subjects from Biology, Chemistry and Physics. Level 3 Diploma achieved with Excellence including one Level 3 subject with 18 credits at Excellence (E) and two Level 3 subjects with 14 credits at Excellence (E) including Mathematics and two subjects from Biology, Chemistry and Physics. AAA in three subjects including Mathematics and two of Biology, Chemistry and Physics. H1, H1, H1, H2, H2, H3 in 6 Irish Leaving Certificates with H1, H2, H2 in Mathematics and 2 subjects from Biology, Chemistry or Physics. 5*55 in 3 elective subjects including 2 from Biology, Chemistry or Physics plus 5* in core Mathematics and 5 in the Algebra and Calculus extended paper. 16 overall, with 16, 15, 15 in Biology (Life and Earth Sciences), Mathematics and Physics/Chemistry. 15 overall, with 16, 15, 15 in Biology (Life and Earth Sciences), Mathematics and Physics/Chemistry. 85% overall with 8.5 in Mathematics (5 periods) and 2 subjects from Biology (4 periods), Chemistry (4 periods) or Physics (4 periods) and 9.0 in one of these. **Average of 85% across 4 subjects with 85% in Mathematics and 2 subjects from Biology, Chemistry and Physics. 5, 5, 5 in 3 APs including Calculus BC, Biology and Chemistry or 5,5,5,5 in Calculus BC, Physics 1 & 2 plus either Biology or Chemistry. A score of 9 overall with 9 in Mathematics and two further subjects from Biology, Chemistry and Physics. 1.3 overall with 14, 13, 13 in Mathematics and two further subjects from Biology, Chemistry and Physics. The required grades in Mathematics and science subjects must be achieved in your final examinations if you take them. If you do not take one of these subjects in your final examinations, you will need an average grade across 4 semesters in it. AAA in 3 H2 level subjects including Mathematics and 2 subjects from Biology, Chemistry and Physics. 5 in all subjects with 85%, 80%, 80% in three Higher subjects including Mathematics and any two from Biology, Chemistry and Physics. 9.0 overall with 95, 90, 90 in three state exams including Mathematics and in any two of Biology, Chemistry or Physics. 90, 85, 85 in three extended subjects including Mathematics and in any two of Biology, Chemistry or Physics. 9.0 overall with 9.5, 9.0, 9.0 in three subjects including Mathematics and any two of Biology, Chemistry and Physics..
An overall score of 95% in the scientific pathway with 10, 9, 9 in three subjects from your final report card including Mathematics and two of Biology, Chemistry and Physics. 19 in the Apolytirion with 19, 18, 18 in Advanced Mathematics and two of Advanced Biology, Advanced Chemistry and Advanced Physics. 19 in the Apolytirion plus A*A in two A levels including Mathematics and one of: Biology, Chemistry or Physics. You must also achieve 19 in one of these science subjects not taken at A level. For one of the units in Biology there is an optional field course to Gower, South Wales: £300, payable during the first semester of the second year.